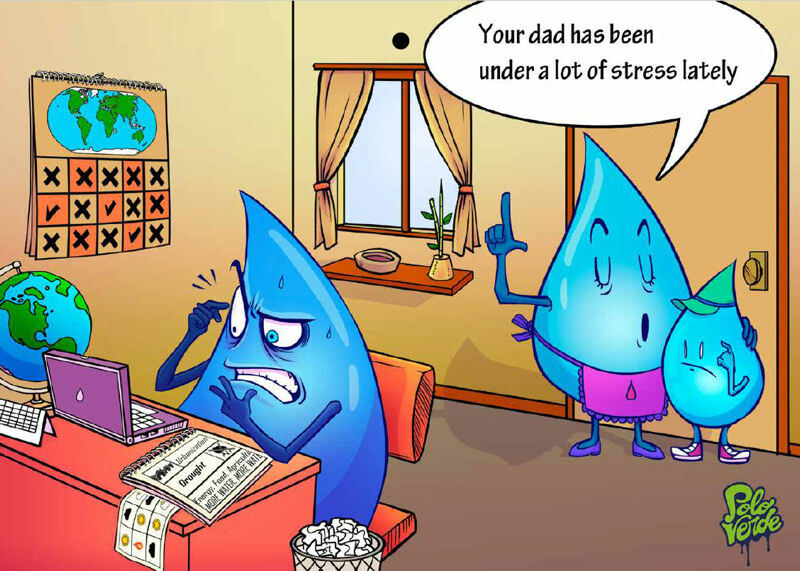 The World Bank (Washington, D.C.) 2017 Water Cartoon Calendar showcases the global concern of water stress portrayed in the artwork for January. Photo courtesy of The World Bank Group. The World Bank (Washington, D.C.) draws attention to complex challenges associated with water, sanitation, and hygiene (WASH) through humor in a downloadable, open-access calendar. 1 billion people practice open defecation. The World Bank’s Water and Sanitation Program first started producing these calendars in 2000. They were created to “spur dialogue on sensitive topics, which otherwise are rarely discussed in public,” the article says. The calendars promote the WASH message and help draw attention to the United Nations’ Sustainable Development Goal of ensuring access to water and sanitation for all. Click to open the 2017 water challenges calendar. Photo courtesy of The World Bank Group. Each month, a cartoon showcases how improved management of water resources can generate transformational benefits for those in need and local economies. 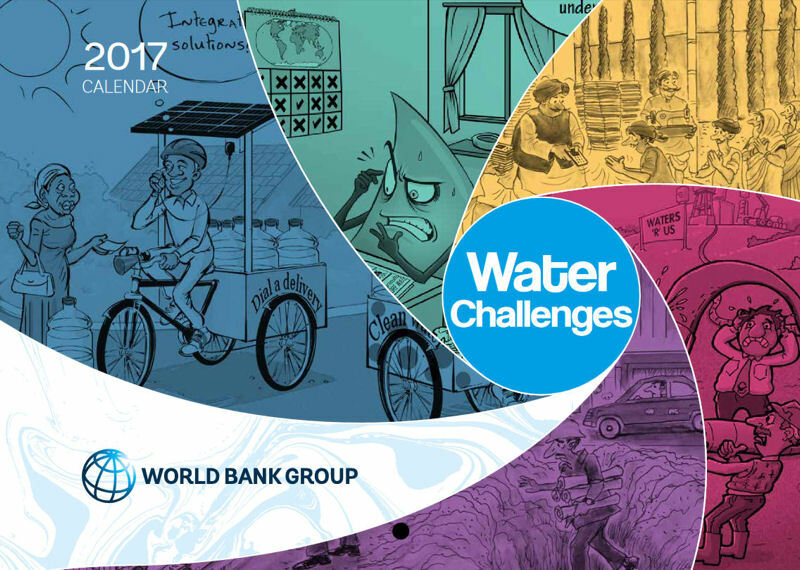 The 2017 calendar’s four cartoonists — Jesus Felix-Diaz from Peru, Sudhir Dar from India, Wisnoe Lee from Indonesia, and Victor Ndula from Kenya — portray barriers to and benefits of obtaining sustainable and secure water and sanitation services, the article says.